Last week, the San Jose Sharks announced what they’ll be wearing at the Stadium Series game in February. Today, we got the officially official announcement from the LA Kings. Everything seems to be have confirmed the various leaks that came out for both teams’ uniforms over the last week or so, so we’ve had some time to digest what the two teams will wear on February 21, 2015 at Levi’s Stadium in Santa Clara. So, let’s break them down shall we? First off, like last years’ Stadium Series, there’s a template that’s being used, most likely designed and mandated through the league (in fact, I can definitely confirm that they were), for both the jerseys. The league’s taking over full control of the jersey designs (in co-operation with Reebok of course) for the Stadium Series uniforms it seems, forcing individual teams to go along with their designs. It’s a curious decision, but a brand-specific one for the league. 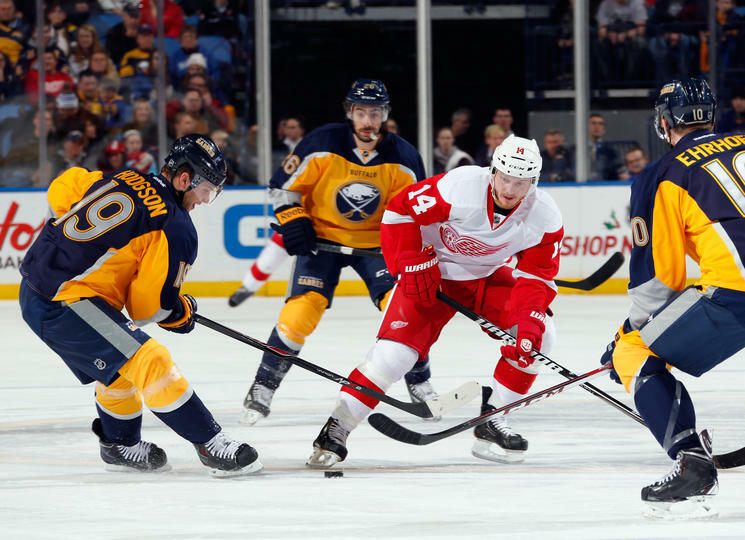 They want to make sure everything’s consistent across the board, unlike the Winter Classic jerseys, which are hit and miss. While grounded in tradition hockey uniform design motifs, the 2015 Stadium Series uniforms re-interpret these elements in a more streamlined and amplified way. As part of this design process, the Reebok Design Team, NHL, and the San Jose Sharks worked together to reduce the elements of the uniform design down to its core design markers. Designers then explored how to take this core set of motifs and turn up the visual volume on them. One question repeated throughout the process was “If you can’t see it from 200 yards away, does it need to be there?” The final result are uniforms that still look like hockey uniforms, but are streamlined and bold in their visual. These are all excellent points and I’m glad to hear that there was actual thought put into the design process, as it’s taking the context of the game into the design of the jerseys/uniforms. To be honest though, I can’t quite decide at this point whether I like or not. It seems that it’s innovative enough to be unfamiliar and slightly off-putting, but iconic enough to be familiar and respectful of hockey jersey design’s history at the same time. It’s a tough balance, and these jerseys try to pull it off. 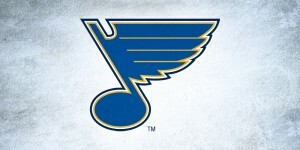 The biggest and strangest feature is the stripe that runs through the team logo. 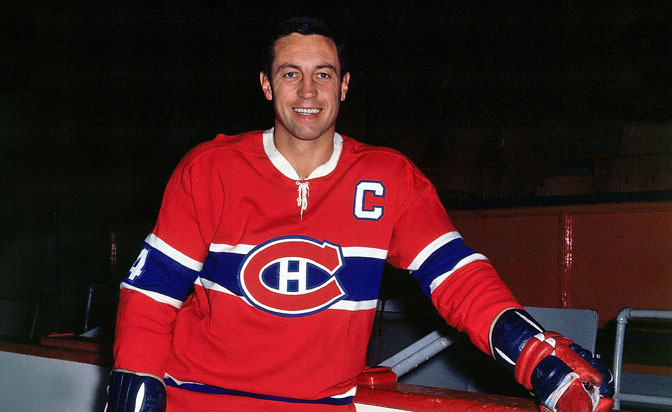 It seems somewhat innovative, but it’s actually reminiscent of the most iconic and historical jersey in all of hockey: the Habs’ home reds. That jersey is one of the very few to have ever tried something like that. 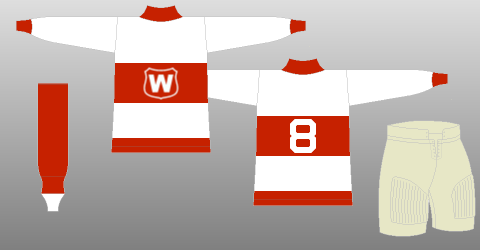 The Montreal Wanderers had something similar as well. So, these new jerseys tap into the historicity of the league, but simplify it to work for an stadium environment. It’s actually quite smart. But does it work? (1) That stripe ends on the sides of the jersey, not continuing around to the back, which creates this strange dynamic between the two sides of the jersey that doesn’t seem to have a sense of purpose. 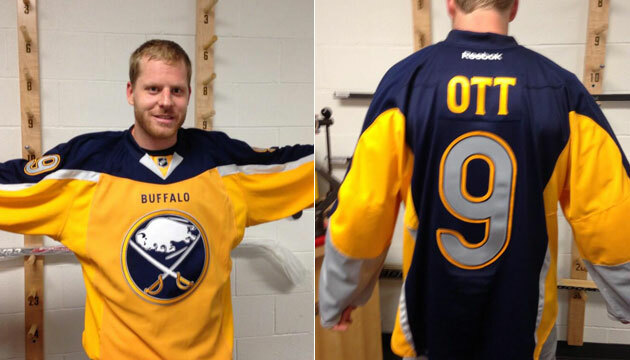 Kind of like the Buffalo Sabres’ horrible third jerseys. The numbers are clearly outlined, very large and would be visible with the stripes, so having the stripes underneath isn’t a readability or visibility issue. So, it just makes no sense. 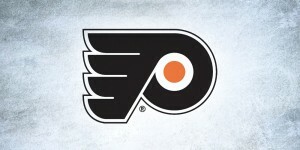 (2) How the stripes interact with the logo is problematic. 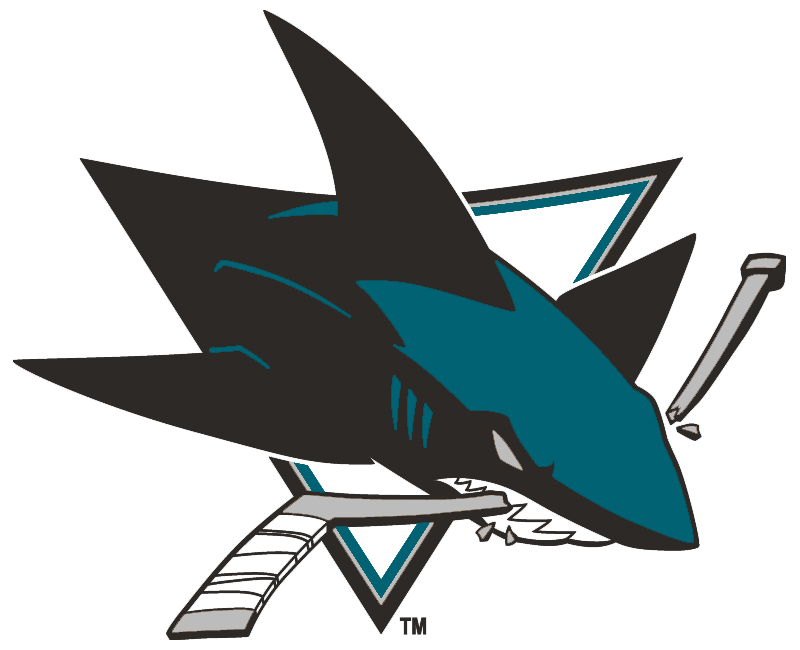 It’s less of an issue for the Kings which have a very solid, simple crest as the main shape of the logo, but for the Sharks, it adds visual clutter to an already busy shape and logo. 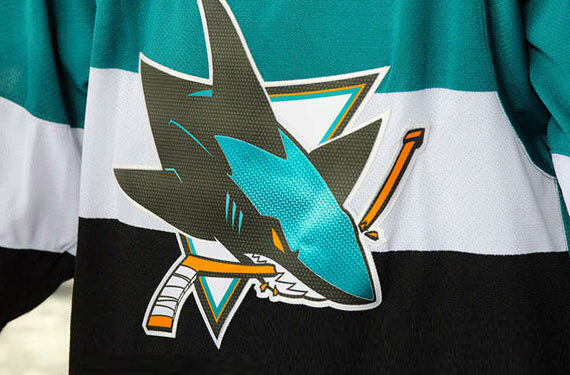 I can guarantee you that, from 200 yards away, the shape and details of the Sharks logo will not be visible at all, and that’s further compounded by placing it on stripes of different colours. Another somewhat unique element is having two-toned jerseys: one colour above the stripe, another below. There’s also thick stripes on the sleeves to line up with the ones on the torso. The sleeve numbers, based on the mock-up, appear to be abnormally huge, which is likely because of the above quote, making sure that people can see the numbers from 200 yards away. The two-coloured jerseys are a nice touch for the Sharks, which can never seem to decide whether they want to wear their teals or their blacks at home, unless they’re getting reverse-swept by the Kings of course and the black are then deemed bad mojo. This way, they can wear both. The white stripe in the middle brings a certain amount of attention to the logo (as that’s where the largest amount of contrast between black and white will draw the eye), but as we mentioned already, from 200 yards, no one’s going to see the logo anyway…so why not remove it altogether? Suddenly, it looks more like a stadium jersey (i.e. – a football jersey). 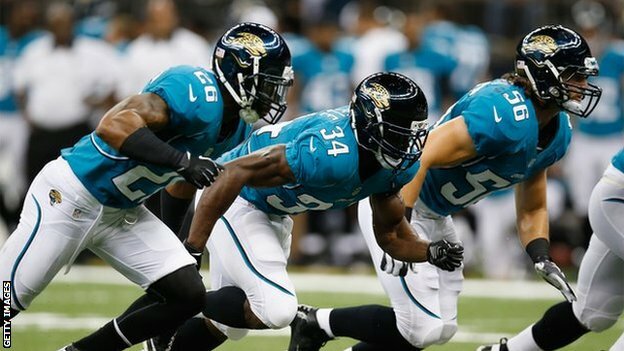 Add big numbers to the front, and voila, a real-life football jersey, something that might befit the Jacksonville Jaguars. I don’t like that look at all, but I’m just raising the point that their reasons is contradictory. Essentially, they wanted to make a football jersey without making a football jersey, so they slapped a historically-relevant stripe on it and kept the logo on the front, because that’s the essence of a hockey jersey. I get it, but then let’s call a spade a spade. It’s a football-esque hockey jersey. Suddenly, the design is becoming less and less innovative, but rather a merging of two traditions that create something that doesn’t necessarily work for either in a stadium or a comparatively-intimate arena. The only true innovation is having a jersey that’s essentially two colours – and yes, which is also like the Buffalo Sabres’ third jerseys. For the logo crests, they seem to be fabricated on some shimmery fabric, to make them look chromed-up, but for real this time, not all fake-like. When you’ve got a comparatively flat and simple uniform design, it clashes with a shimmery logo. Not a fan. Speaking of the collar, the high-contrast design is strange, using a white block featuring the NHL logo surrounded by a black and orange ring, sticking out from the rest of the jersey like a sore thumb. It makes little sense, looking almost like a choker neckla…aaaaah, I get it now. 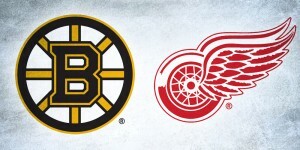 Nice trolling, NHL. The other unique element in the NorCal shoulder patch. The design of it is actually pretty great, but to fit better with the jersey, decreasing the amount of orange in there would have been a better choice. The only complaint is the point of highest contrast (that will naturally draw the eye to it) is where the black fin meets the white wave of water…which is in southern California. Defeats the purpose of the patch a bit, but at least there’s a star over San Jose to clarify. This is probably the biggest complaint about these jerseys: the white stretching from mid-way point of the jerseys to halfway down the socks (with a thin black stripe along the bottom of the jerseys and shorts). It’s like wearing a white tux, but with a black-lined silver cape and high stockings. It just looks bizarre, slightly off-putting and pyjama-like. But again, it’s impossible to tell for sure until we get into the actual game and see it in action. But yeah, a little strange nonetheless. The white helmet doesn’t help either. Black shorts would have absolutely worked better. Other than that, the big “LA” from last year’s Stadium Series jerseys return, but this time living extremely large on the shorts. A nice touch with having two crowns on the collar to commemorate their two Cup wins. 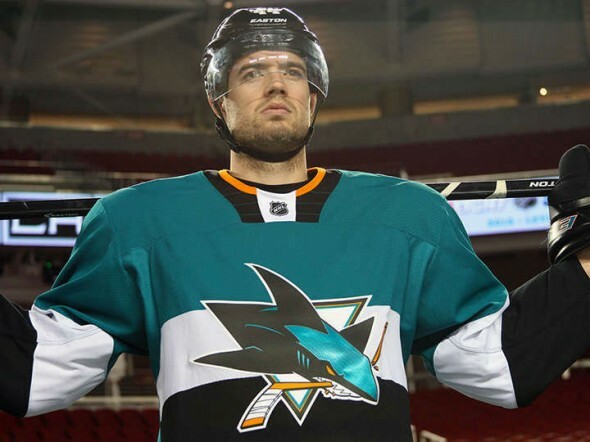 Speaking of the collar, it has the same design as the Sharks’ jerseys do, but because there’s not a strange out-of-context colour placed there (the orange), it’s easier to forget how awful they look. Still looks like a choker necklace, but that’s a difficult joke to pin on the Kings. 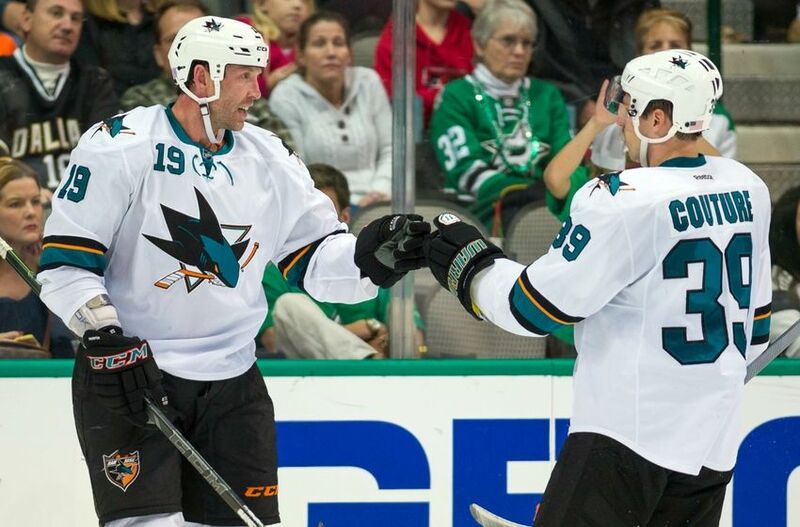 Also, the back of these jerseys are not completely white, like the Sharks’ are completely teal. Having grey at the top is definitely a better choice and creates something a little more cohesive. So, overall: Inventive? Kind of. Unique? Kind of. Interesting? Kind of. It’s a middling design that shows an interesting effort but the numerous mis-steps derailed the overall product.